How does an e-vapor business navigate the FDA’s approval process? 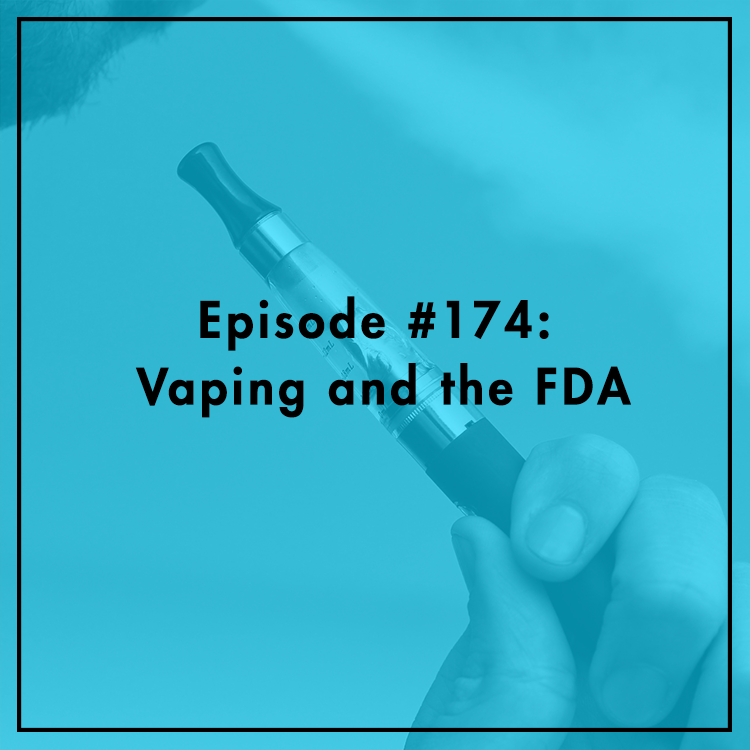 On August 8, 2016, the Food and Drug Administration’s “Deeming Rule” took effect, starting a two-year period where every manufacturer of e-cigarettes, e-liquid, and other vapor products would have to get permission from the FDA to keep their products on the market. You’ve heard some statistics on this podcast trying to quantify the regulatory burden, which could be anywhere from a few hundred thousand to millions of dollars per product. But what does that actually look like in the real world? Chris Howard and Jeff Sanderson from E-Alternative Solutions discuss the impact and what they’re doing to get their Cue product through the FDA’s process.